Rome-based stoner doom outfit Funeral Mantra is heavy, brutal, and full of primordial power. The gentlemen have worked out their own sound, heavily influenced not only by doom classics but also by such bands as Motörhead, channeling that raw energy and masculinity through their riffs. Their first album Afterglow consists of ten songs that embody sheer and unstoppable doom rock ‘n’ roll from hell! Funeral Mantra certainly know how to gain exposure for themselves, and the songs sound really killer, dynamic, and professional. Mantra’s bass guitarist Vikk will do a brief excursion into Funeral Mantra’s world. Hail Vikk! 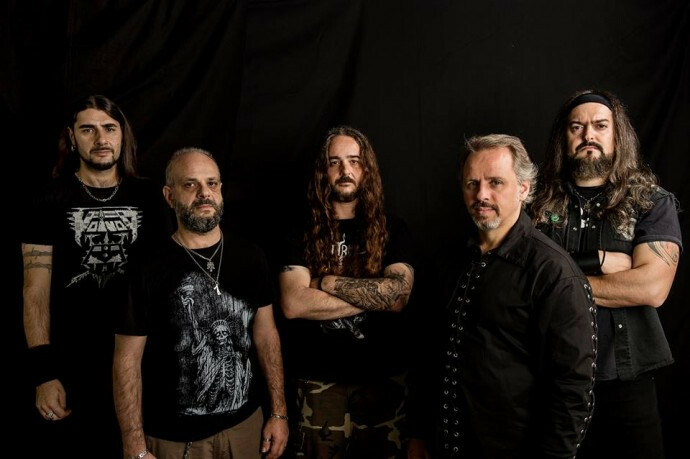 Funeral Mantra is the new doom stoner band from Rome, and your first album Afterglow has seen the light of the day just a couple of months ago. What else do our readers need to know for a start about Funeral Mantra? Hail Aleks and NoCleanSinging! First of all, thanks a lot for this opportunity. Well, Funeral Mantra is a 5-piece combo who love to play heavy, stoner and doom. The band formed in late 2010 as a Spiritual Beggars tribute. In late 2013 we released a self-titled demo, and last May we entered the Moon Voice Studio to record Afterglow (Sliptrick Records). It was produced by Luciano Chessa and mixed by Riccardo Pasini and… sounds great. Afterglow shows that the band sounds heavy and right as a solid mechanism, but I see that despite that, Funeral Mantra lived through some lineup changes and you with Richard are the only members who hold from the very beginning. What’s the current lineup of Funeral Mantra? Indeed, over the years our line-up has changed but we have now reached our solid formation, which is as follows: Simone “Dude” on vocals, Richard on guitar, Roberto “Randy” on guitar, me on bass, and Karonte on drums. How did you record Afterglow? Who is responsible for most of that work? 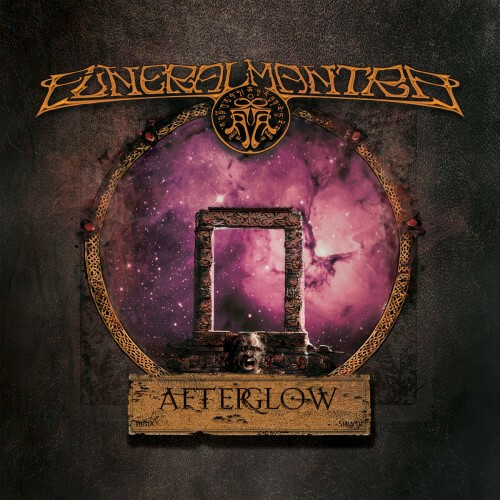 Afterglow is the essence of what makes Funeral Mantra as a band. It is the coming together of the five of us, our different personalities, inspirations, and creativity molded together. We all contribute to the song-writing process, from the music to the lyrics. So, the whole band is responsible for Afterglow. How did you work out this brutal form of stoner doom music? What is your right sound? Well, the five of us have similar yet different influences, so Funeral Mantra’s sound is a balanced mix of the five of us. We wanted to stay true to our classic metal background while including the stoner and doom elements that you can find in “Afterglow”. Where did you find vocalist Simone “Dude”? He roars as if Funeral Mantra plays sludge stuff — did you want such vocals from the start? We have all been friends for a long time and when our singer decided to leave, Simone was interested in having a go at vocals for the band. His vocals are true to our band’s overall feeling of wanting to be both stoner/doom but maintaining the metal aspect present. Through his roars, growls, and clean vocals, I guess we all felt it worked out well and were pleased with the result. How did you get the deal with America’s Sliptrick Records? Is there any chance that it will also be released on vinyl? Sliptrick approached us after having listened to our music. They were told about us from other bands we are friends with, so we sent them some material and they were interested in working with us. We’d love to release Afterglow on vinyl as well, and we are already thinking about it. Stay tuned for more news. What did you put into the album title? There’s the song “Funeral Mantra” amongst others, and it has a fragment of mantra chant indeed! “Afterglow” reflects a lot what the band is all about when it comes to lyrics and the themes we talk about in our songs. “Afterglow” is a concept related to eternity, dimensions, introspection, reincarnation, worlds. Is this really the only dimension there is in life? Is there any other way to conceive death? And what is your choice? Is there anything beyond? Of course, yes. I think that parallel universes do exist. Parallel Vikks and Alekses. Parallel realities, similar to the one we’re living, maybe distinguished by time. A single second forwards or backwards in time, for example. Trippy! And I definitely think that life is eternal, as well. We are pure energy trapped in a fragile body. You can’t kill energy. This is the main “Afterglow” concept: recollections of past lives’ emotions. Can you tell a story of one particular song from the album which represents the best of the band for today and incarnates the very core of Funeral Mantra? Nice one! I choose the title-track, “Afterglow”, because of many reasons. It was written by all the current Mantras, and it’s the only song in which everyone plays an instrument (Simone plays the 12-string guitar). I wrote the lyrics, so it means a lot for me/us. What are the necessary components of doom music that you want to incarnate in your songs? Doom is only one of the genres we like. We love to play slow, heavy riffs and we love that late ’70s-’80s sound. Doom music has some ritualistic and hypnotic elements that definitely inspired us in Afterglow. What are the strong sides of the band, and which elements of it would you like to improve? Funeral Mantra’s strength comes from the family concept. We are good friends first, and we share emotions every time we play together. We’re learning to talk to each other using instruments. This is, at the same time, our virtue and the feature we’ll improve in time. What about the live aspect of Funeral Mantra? How often and where do you usually play? We love to play live!!! It’s pure fire, I can’t describe it. Since early 2012 we’ve played many times in all the rock/metal clubs in Rome and around. Then, since last spring, we decided to focus more on writing stuff. Since then, we’ve played about every 45 days. By the way, next Feb 19th, we’re gonna play the whole Afterglow (plus a couple of covers) at our release show! Vick, what are your ambitions concerning Funeral Mantra? What would you like to gain with the band? I’d like to spread our music as much as possible. It is the expression of our personalities, a unique mix. I’d like to play through Italy and abroad, to meet new people. But, overall, to improve myself and to strengthen the Mantra family day by day. Got it Vikk! I wish you all the best on your way to worldwide glory — let’s hope that this interview helps to spend the Word of Funeral Mantra! Great interview, Aleks, thank you and NCS! I appreciated your questions, it was a pleasure for me and all the Funeral Mantra family! To the readers…first of all, cheers for the time you spent in reading this! Chant the Mantra guys!